When a tooth is damaged by disease or physical trauma, there are some cases where the tooth is untreatable. In these cases, the tooth can be extracted or filled in to prevent further deterioration. But to protect the vulnerable tooth and the rest of your smile, a porcelain crown or fixed bridge can be created to restore it. A porcelain crown is an artificial tooth “cap” designed to be placed over an existing tooth. These crowns do not replace the tooth, but can restore shape and function. The porcelain material is dense and durable, allowing patients to bite and chew with confidence. Broken and cracked teeth: Physically damaged teeth should be protected, and a crown is the perfect solution to keep the damage from extending throughout the tooth. Teeth that have also been physically damaged by decay can benefit from a crown. Root canals and composite fillings: When decay has reached the center pulp of a tooth, a root canal can clear the diseased tissues and conserve the rest of the tooth. A filling is used to fill the space, and then is topped with a porcelain crown to restore function. Cosmetic reasons: A crown can also be used to mask cosmetic imperfections in your smile. These include dark stains that are resistant to whitening, and slight misalignments between teeth. Crowns are a simple solution to correct or mask these issues so you can feel confident about your smile. Are time restraints keeping you from pursuing dental treatment? For many patients, making multiple trips to the dentist office is a primary concern. However, dental treatment doesn’t have to be a time-consuming process with same-day crowns. Crowns are the best option for a tooth that is seriously damaged or decayed. For years, you would have to return to our office several times before your tooth would be fully restored. With state-of-the-art technology at our office, you can enjoy completed dental treatment in just one appointment. 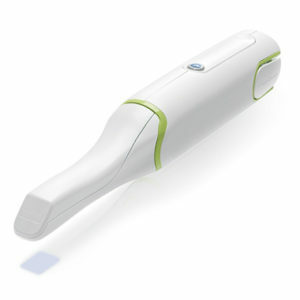 Using the Planmecca intraoral camera, we scan the tooth without the need for goopy impressions. On a laptop, Dr. Sherman designs the perfect crown for your bite then sends it directly to the Planmecca Milling Unit to immediately begin making your new crown. At the heart of our dental services is our top-of-the-line technology designed to give you the best results possible. Instead of waiting on the lab to send your crown, you walk our with your new permeant restoration in a single appointment. 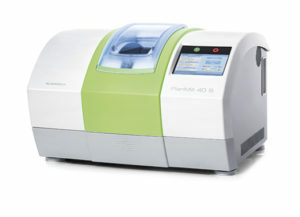 The Planmecca Milling Unit is designed to produce the ultimate precision for several dental treatments including crowns, inlays and onlays with the same quality as a dental lab. Once your restoration is finished milling, Dr. Sherman will place your brand new permanent restoration and adjust your bite. No need for a second visit! A fixed bridge is a device made of three crowns that fills in gaps in your smile after losing teeth. They are typically made of porcelain with some metal components. Like crowns, they are made from porcelain to imitate your natural teeth. While a porcelain crown can protect or restore an existing tooth, a fixed bridge replaces a missing tooth. In some cases a damaged tooth will be beyond repair and recommended for extraction. Should that occur, then a bridge is the better solution than a crown. Restore facial shape: One of the side effects of tooth loss is that your facial structure may change. This includes slightly hollowed cheeks or deteriorating jawbone. But a fixed bridge can fill that loss, giving your smile a fuller appearance. Prevent neighboring teeth from shifting: After tooth loss, neighboring teeth will lose that support beside them. A bridge keeps those teeth from moving out of place, so that your smile stays secure. Restore chewing and speaking functionality: Losing a tooth makes speaking and eating difficult, due to the giant gap in your smile. But installing a bridge helps restore that confidence in these abilities again. Upgrade from a partial denture: If you already possess a denture, it’s possible to make the seamless switch to a fixed bridge. With a bridge you won’t have to undergo daily maintenance and cleaning. Bridges are easy to manage and have full range of functionality. A fixed bridge also requires two separate visits: one for preparation, and one for installation. During the preparation period, the teeth on either side of the gap will be filed down. This reduction in enamel allows the bridge to fit more comfortably once the time comes. Molds are taken of your smile, which are then sent to a laboratory. Once your bridge is fabricated, you’ll return to have it installed with a special dental cement. Once assured that your bridge is secured, you’ll be ready to smile again! Bridges don’t require daily maintenance like dentures do, and only need a simple brushing everyday along with routine dental check-ups. A porcelain crown, a bridge or a filling may not be ideal for every patient’s circumstances. In some cases, patients may have decay or cracks that are too severe for a filling, but the structure is still healthy enough that a crown isn’t necessary. This middle ground is where dental inlays and onlays are the best option. Dental inlays and onlays are also known as indirect fillings for restoring a natural tooth after damage or decay. Indirect fillings differ from a standard filling because they are made in a dental lab and bonded or cemented to the surface of the tooth. Inlays and onlays help to strengthen the tooth after a person suffers extensive damage or when an old filling needs to be removed and replaced. Dental Inlay: A dental inlay is the best option for filling the space between the cusps or rounded edges. Dental Onlay: A dental onlay is similar to an inlay but it is better for providing more coverage. An onlay will cover one or more cusps or the entire biting surface. The best way to answer that question is to talk to Dr. Sherman. Each and every patient is unique, and whether your tooth has been damaged or lost will determine which treatment is right for you. It’s not impossible to transition from crowns to bridges either. In cases where a damaged tooth is lost or extracted, it’s easy to replace with a bridge. Our goal is to help you feel more confident about your appearance. Know that you will never leave our office without a replacement, even if it’s a temporary one. 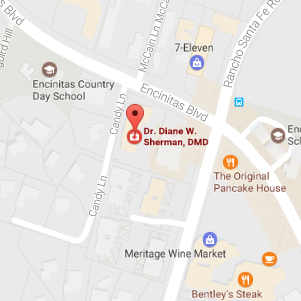 Contact our Encinitas Dentist for a Consultation! Schedule a consultation with Dr. Sherman to uncover which treatment is best for your dental situation. Whether you need a crown or a bridge, rest assured that we strive to make every device beautiful and functional. Not even your close friends and family will be able to tell the difference. Give us a call today!